If you have small children, you’ve probably heard about Disney On Ice. Well, did you know that it’s coming Orlando next month? Make unforgettable memories with Mickey, Minnie and all your Disney friends when Disney On Ice presents Dare To Dream at the Amway Center May 11-13, 2018! The ice skating extravaganza features Disney’s Moana for the first time in a live production. Good seats are still available! 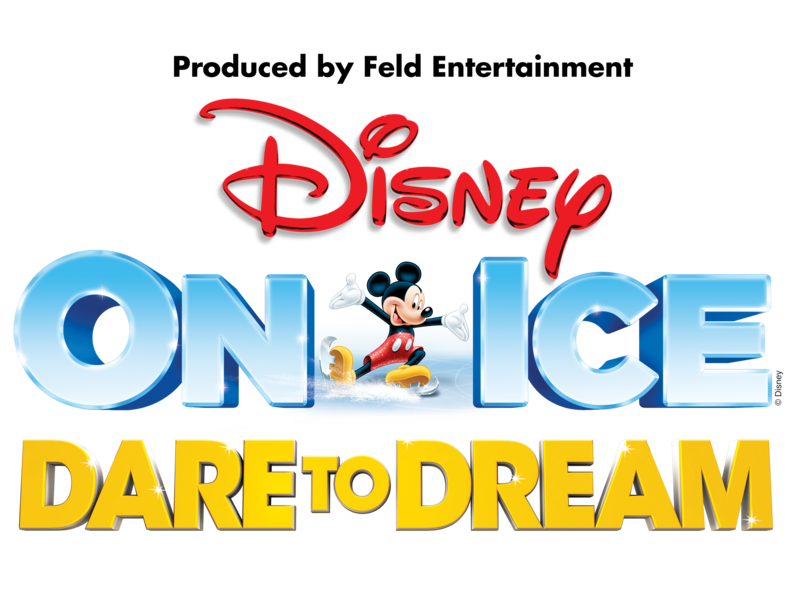 Disney On Ice presents Dare To Dream was originally scheduled for September 8-­‐10, 2017, but postponed due to Hurricane Irma. Tickets purchased for the September dates will be honored in May for the exact same day of the week and show time. Celebrate what’s possible as five Disney heroines spark the courage inside us all at Disney On Ice presents Dare To Dream! In her Disney On Ice debut, see how far Moana will go in an action-­‐packed adventure with demigod, Maui, to save her island and discover her true identity. Join Belle as she fearlessly befriends the enchanted castle staff and reveals the Beast’s gentleness. Experience Anna’s devotion to her sister, Elsa, on her life-­‐changing journey to stop an eternal winter. Explore with Rapunzel, Flynn Ryder, Cinderella and friends from around the Disney Kingdom as they find the strength, heart, and determination to make their dreams come true. Hosted by Mickey and Minnie, uncover why no dream is too big when we find the strength to shape our own destiny at Disney On Ice presents Dare To Dream! Venue: Amway Center, 400 W Church St #200, Orlando, FL 32801 For ticket information, please go to DisneyOnIce.com. Want to win tickets to the show? Here’s your chance. Just enter below. A winner will be chosen at noon on April 19th. Note: I am a Feld Entertainment Blogger Ambassador, and in exchange for my time and efforts in attending shows and reporting my opinion within this blog, as well as keeping you advised of the latest discount offers, Feld Entertainment has provided me with complimentary tickets to Feld shows and other exclusive opportunities.